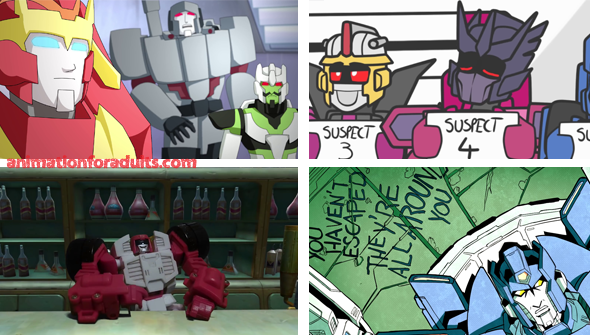 The famous robots in disguise have a multitude of different incarnations in media since the 1980s. With comics, televised animated shows, and eventually a blockbuster film franchise, the war between the Autobots and Decepticons seems to be never-ending. However, in an interesting turn, the previous edition of the IDW Generation 1 comic series sought to explore these iconic characters in the aftermath of the war. Splitting into two simultaneous comic series. Robots in Disguise (written by John Barber) and More Than Meets The Eye/Lost Light (written by James Roberts). While the former comic explored the post-war politics of Cybertron's major players (Bumblebee, Starscream, Prowl, and Soundwave), More Than Meets The Eye follows many of the lesser known Transformers as they explore the cosmos on an epic quest. Though both comic series came to an end in 2018, both found interesting ways to develop these iconic characters or give depth to ones that haven't been given a great deal of screen time. More Than Meets The Eye, in particular, has a soft spot in my heart for balancing a good sense of humor with fascinating character interactions and stories. Including a semi-redemption arc for long time series villain, Megatron. Since this comic has a substantial fan base, short web animations were bound to crop up. For your viewing pleasure, here are a few of my recent finds. Noted for their creativity, humor, and quality. If you're unfamiliar with the comic, this short animated trailer gives you a good gist of the comic's varied tones. From light-hearted humor to heartfelt character moments and even tragedy. This is not the first trailer by Alexicon but in my opinion, it is their best. With nice voice clip and improved animation quality. The choice in soundtrack is also a big plus. Props must be given to the artist for crafting these adorable (and detailed) chibi versions of the comic's cast. While there are well over 40 videos to this series of comedy vignettes, this one plays on the comic's humorous side and character quirks. This episode one of a web series gets top points for creativity in using the Transformers toys/models in stop motion. While the motions of the characters are a bit limited (due to their design), the editing and voice acting more than make up for it. In an adorable play on the "Cheers" Sitcom, Swerve's takes place in the self-run bar located on the Lost Light space ship and the various shenanigans that occur with its various patrons. Straight out of the pages of comic, Skids focuses on the introduction of one of the primary characters of the Lost Light. What makes this animation special is how close the artist (Trunchbull) stays close to Alex Milne's original artwork, using it as a baseline for the animation. A few added motions and shots help the animation flow quickly. Special mention of the effects animation as well, which were elaborated on a great deal from the comic. I dare you to look at the comic panels from this scene to see how much was added on.